The 2011 cult hit The FP is returning with a sequel titled Beats Of Rage a poster has just been released created by Tom Hodge of The Dude Designs. passion project. The FP was an idea that Jason Trost initially came up with when he was 16 years old playing Dance Dance Revolution in Reno, Nevada. From that point on, the project took nearly a decade to make and release. 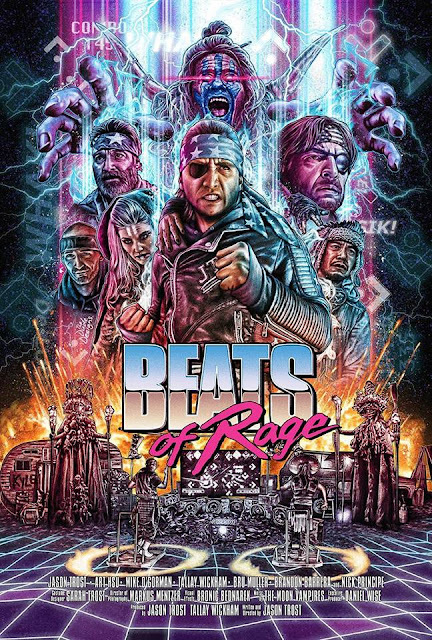 With a $45,000 dollar budget and a bunch of friends helping make the film, the end result was a weird blend of '80s and '90s nostalgia in a post-apocalyptic setting. Now after a successful Crowdfunding campaign, the sequel is on its way. Check out all of the details from the press release below.